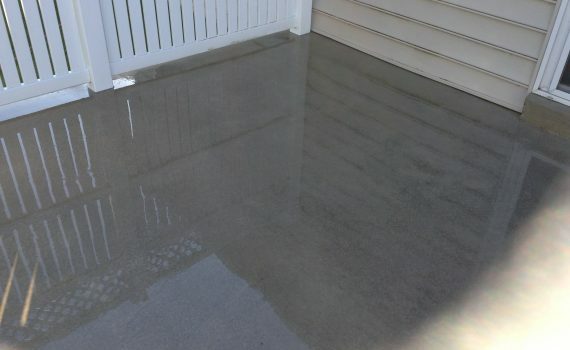 What do the concrete surfaces look like around your home or business? Are they dirty and unsightly? Do you have algae growing in the grooves and texture? If so, let Newly Restored professionally clean your concrete surfaces. We realize that no two facilities are the same. Either the surface will need a simple cleaning or require more aggressive measures. Knowing which application to use is where we can make the difference between a great experience and a poor one. Our team of professionally trained technicians will remove years of buildup and grime and restore your concrete to like new condition! 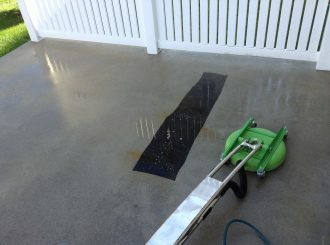 Unlike traditional power washers, which can leave unsightly patterns and lines, our patented tools deliver the right amount of heat and pressure to your surfaces without damaging the concrete. 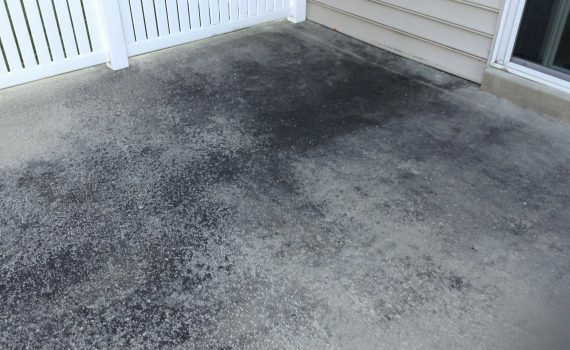 We can clean oil stains, years of dirt, and more from any concrete surface. Remove any loose debris with a leaf blower or broom. Lightly wet the surface of the concrete. This will break the tension and allow the solution longer time to dwell without drying too quickly. After sufficient dwell time, remove dirt with surface cleaner. Use powerwand and turbo nozzle for corners and hard to reach areas. Rinse surface to remove any excess dirt and solution.